There have been so many new openings lately in Charlotte's dining and nightlife that it's almost hard to keep up. But who doesn't like a big grand opening event, right? Pizza Fusion is holding its grand opening this Saturday, November 3 and they're giving away a bunch of cool stuff. Based in Boca Raton, Florida, Pizza Fusion has opened its first North Carolina location at the Metropolitan here in Charlotte, at 1055 Metropolitan Avenue, suite 140, pizzafusion.com/charlotte. 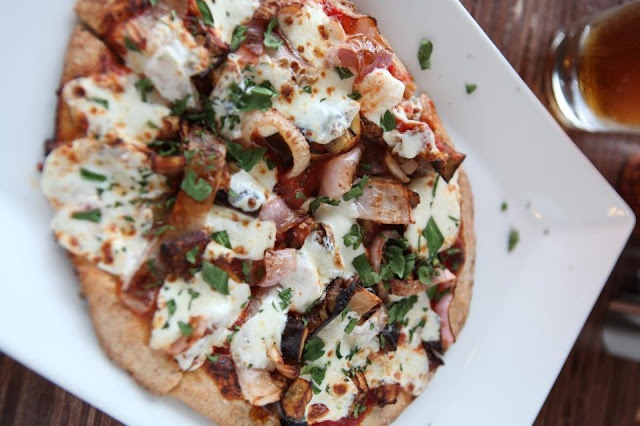 The franchise touts itself as "an organic, socially responsible pizza restaurant," and it is a welcomed addition to Charlotte's rapidly expanding restaurant scene (several restaurants have opened at the Metropolitan this year alone). Saturday's grand opening event, taking place 11 a.m. to 3 p.m., features some of the biggest giveaways I've seen. 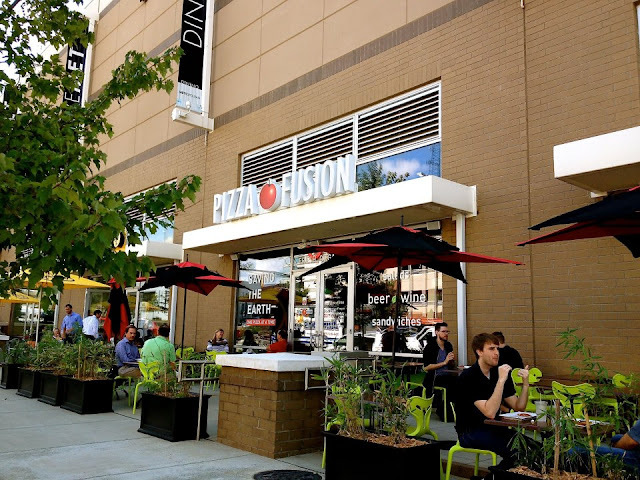 Pizza Fusion Charlotte will host a drawing to randomly select 50 guests from those in attendance at its grand opening and 10 Facebook entrants (click on the Free Pizza tab) to win free pizza for a year. Plus, one lucky guest in attendance will be selected at random to receive free pizza for life. Sign me up! The event will also feature free pizza and drinks, including organic beer and wine, and entertainment for kids and adults. Drex and Maney, hosts of the morning show on KISS 95.1 FM, will broadcast live, playing the latest top-40 hits while giving away free concert tickets and other prizes. Guests will also receive free Pizza Fusion T-shirts, souvenir BPA-free eco-cups, eco-wristbands, stickers, and other prizes from local businesses. The grand opening will also feature a charity raffle for two bicycles, courtesy of Queen City Bicycles, with all proceeds from the raffle going to Camp CARE (Cancer Ain't Really the End), which provides a camp and other year-round activities for children affected by cancer and their families in the Charlotte area. Pizza Fusion serves an organic and all-natural menu of pizza, sandwiches, salads, and desserts, as well as local craft beer and sustainable wine selections. The restaurant also serves an assortment of vegan and gluten-free menu items. Its ownership says Pizza Fusion is the number one green franchise in North America. Founded in 2006, there are now locations in Florida, Colorado, New Jersey, Nevada, Ohio, and, most recently, North Carolina. Coincidentally, all but one of these are swing states, but, thankfully, there doesn't seem to be any politics going on here. Just organic pizza and booze.